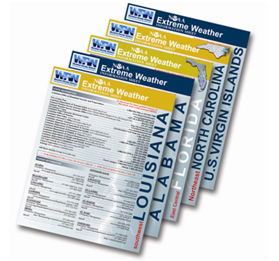 NOAA created the useful “NOAA Extreme Weather Information Sheets” series. To learn more about them, you can check out their home page here. Links to each sheet (they’re all PDFs) are listed below.